Anyway, here are a few pictures of a mini scrapbook that I made. 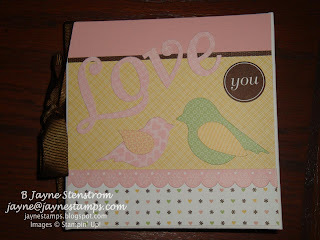 My downline Sara and I got together specifically to make these using the Love Birds Simply Scrappin' Kit (pg. 178 IB&C). 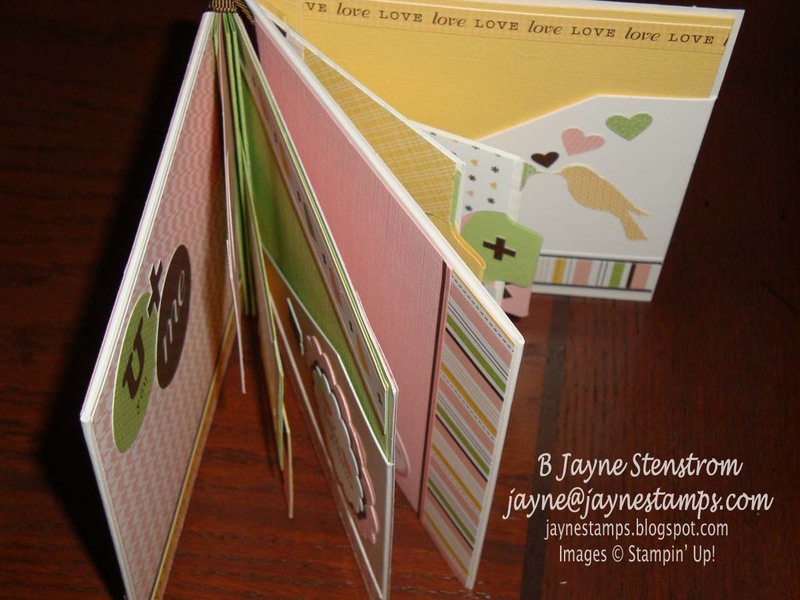 The base of the scrapbook is made using two cardboard CD folders. Everything else, including all of the cardstock and die-cuts, is from just HALF of the Simply Scrappin' kit! A view of the inside: After I finished that book, I realized that I could probably get another scrapbook out of what I had left. 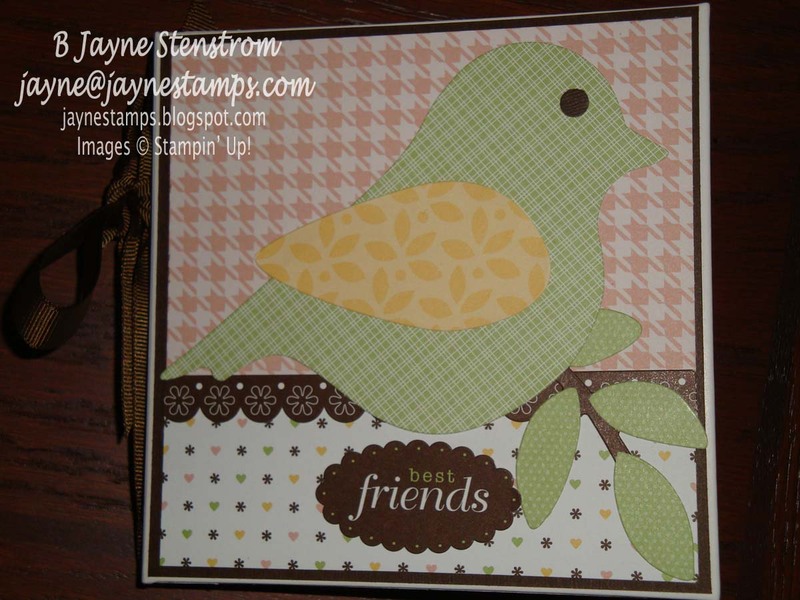 Remember, I was only using half of the Simply Scrappin' kit in the first place. I did look around on-line for ideas on what to put on the front. I'm pretty sure I copied the idea for both of the fronts from Patty Bennett. 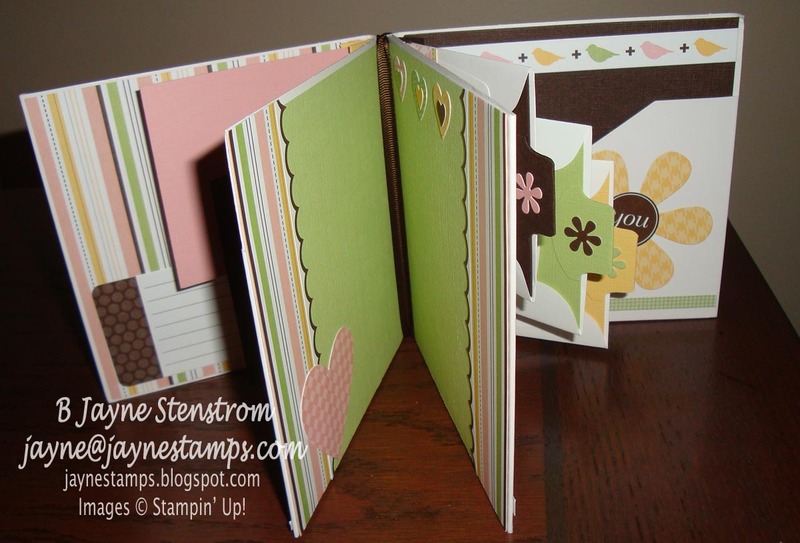 I have made these mini scrapbook albums before, but I think this was the first where I used ONLY what was in a Simply Scrappin' kit. It was lots of fun and really went together pretty quick. The thing that took the longest was deciding which die-cut to use where. 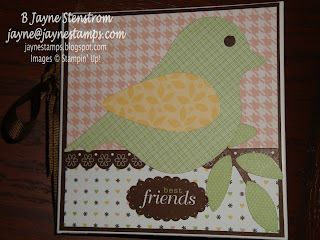 If you'd like to make one of these for yourself or as a gift to give someone, I'd be happy to teach you! Contact me and we can arrange for you to order your kit and schedule a time to get together so you can make your own! Thanks for the shout out and you are very welcome! Happy the help! Thanks for sharing it with all of us!! !